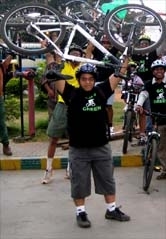 About-Us - GGI-Group size: 4000+ Professionals, Increasing on day to day basis, Come & join us 2 serve Mother Nature. 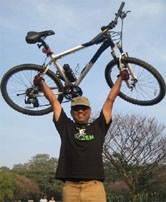 Go Green Go Cycling is an non profitable Organization formed under a group of professionals called as GGI’s (Go Green Initiator) Initiating and encouraging bicycling within city limits and in turn save all kinds of natural resources that are contributing to GLOBAL-WARMING. 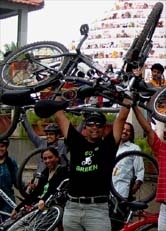 Activity : We organise regular Go Green Campaign rides on week end’s to create bicycling awareness and at the same time appeal to communities to Go Green for a better tomorrow..